The logic is inescapable. In 1917 when the British government of David Lloyd George issued the Balfour Declaration, his then cabinet consisted predominately of either Nonconformist or Evangelical Christian churchgoers whose beliefs were governed by the texts of the Bible. They believed in the Second Coming of Christ made possible by the redemption of the Jews who would be gathered together and baptised, en masse, in Jerusalem. By 1948, however, British values and religious beliefs had changed dramatically but crucially not that of the Americans and their President, Harry S Truman. He was the key factor in the establishment of the new state, planted in Palestine, and the first to recognise it. The rest of the international community took its cue from the US super-state. Which is where we are today. The answer lies in the changing face of America and its already declining influence on the world stage. The mighty dollar will in the next years lose its position as the world’s reserve currency and, for a variety of reasons, will be replaced by that either of China or Europe. At that point, Israel will lose its supply of arms, aircraft and funding from the United States and when that time comes, it will revert to just a small, non-strategic state on the Eastern Mediterranean with a mixed population of maybe just 10 million Muslims, Christians and Jews, all co-existing and having free access to the holy sites, in perpetuity. 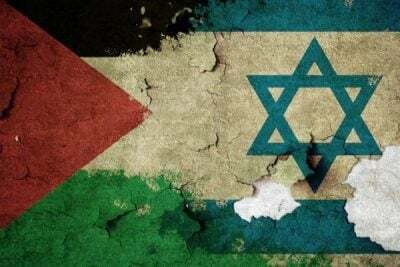 It will probably also revert to its original name of Palestine and Jerusalem will become once again an international city in accordance with the will of the United Nations.